Folks can also buy Aaron's book if you want to give him a hand. He links it at the bottom of every post (above the comment section). Why would Brett continue doing this? Because right now he's being taught by Maryland's prosecutors that he can get away with abusing the process and smearing people. He thinks he can wear Aaron down and make him unable to afford defending himself. What's stopping him? 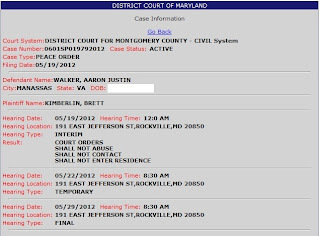 Aaron will have to fight one of these every day for the rest of his life, if the authorities don't shut Brett down for perjury. The MD taxpayer has funded how many hearings now? It's a lot. The least their government could do for them is prosecute those who lied during those hearings. Make someone other than Brett's victims pay for Brett's lawfare campaign. This is just insane. Man that is one boring video. 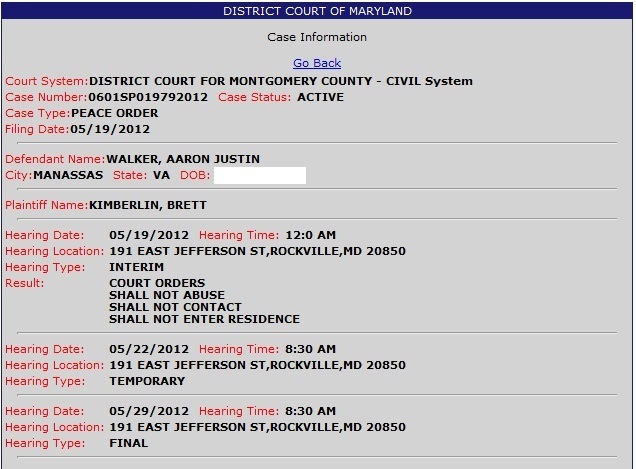 Which conclusively establishes that Aaron didn't attack Kimberlin. sorry, sir. I did my best, but i am not a film maker by profession. But I think its pretty good if you grade me on the curve! I just said the facts are boring. I.e., that you didn't assault him. If you had, it would have been more interesting! Maybe next time. Not unexpected Aaron. If I can be of service in any way at all, please let me know at my public email: plemmen55@gmail.com. Perhaps as a former criminal that absolutely hates criminals, especially those whose actions cast reforming ex-criminals in a bad way, I might be able to assist in some small way in defeating this assh*le. Letters have gone out to the States Attorney office in hopes their eyes get opened soon. For their own sake they need to shut this nutcase down. Allowing him to do this to you sets a very bad precedent that could impact other cases in the future even if they have nothing to do with Kimberlin. People are behind you on this Aaron. Keep up the good fight and let us know when the fund has been set up so we can provide a bit of modest $ assistance.